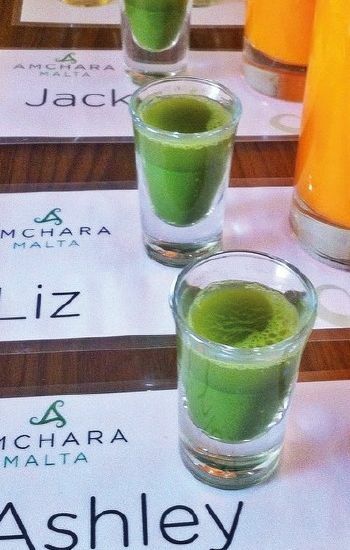 Relax, recharge, reboot: this is the mantra of Amchara Retreats. 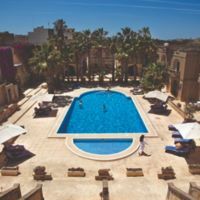 The highly acclaimed getaways have two locations - one in Somerset and the other in Gozo, Malta - where they combine functional medicine and naturopathy to kickstart their clients' health through diet, exercise, and state-of-the-art facilities. As their business grows, Amchara Retreats will use the funds raised to develop their website and recruit additional staff. Here at Amchara Retreats, we focus on physical health, emotional wellbeing in a lifestyle-positive and sustainable way by providing a supportive environment where our clients can switch-off from the outside world and recharge. The content of each retreat is tailored to suit individual needs, determined by screenings by our health professionals. Clients will then experience carefully thought-out nutrition plans and health monitoring, active education classes, and educational talks and coaching throughout their stay with us. We champion naturopathic supplements and remedies, with the aim of making this applicable to daily life when our clients return home. We have two stunning locations, both highly acclaimed. Our UK retreat is in Somerset, situated in a rural 19th century manor house with private grounds perfect for tranquil recuperation. Our Malta location, on the historic island of Gozo, Malta allows our clients to detox in the sun. We have a large swimming pool and spa facilities, comfortable apartments, and a yoga studio offering glorious sunset views. These picturesque retreats have been featured in Porter, Vogue, the Independent, Channel 4, and Marie Claire, to name a few, and we've been named Condé Nast's Top Ten Wellbeing Retreats in the World (2017) and the Telegraph's Top Ten Retreats for Health in the World (2016). We aim to develop our website. At the moment, we detail not only information about our retreats but offer medical explanations and tips for managing conditions such as arthritis, diabetes, and hormonal concerns. We also run a blog to keep our community of clients up-to-date. With the money raised, we will continue to refine this, making it as user-friendly as possible. We will use use the funds to recruit more highly-trained staff as our business continues to grow. Q. What is your environmental policy and plan, eg with regard to materials used and any waste created? We're not for alcohol and drug rehab, that requires a specialist approach that we do not cater for. We support people with chronic health conditions including IBS, Arthritis, weight-management, obesity, stress and diabetes. Q. Hi, as someone else asked, do you own the property in Malta, and the one in UK? Thanks. A. Hi Both properties are on long-term leases. Gozo we're 4 years into a 10-year lease and Uk is a new 5-year lease . Q. You say that the physical sensory environment is less your concern but that you have updated the retreat. Are the photos on your website which look like a private doctor's waiting room, out of date? Q. Could you please provide more recent trading figures than the 2017 account? A. Hi Ernst - I've just spoken with C2F and they have advised me I can issue you the summary figures here but not the Management Account's. Our turnover is £1.13M for 2017/18 and our net profit is £122K. Q. Hi there, Is the Malta retreat owned or leased, and is it paid for in euros while bookings are paid in GBP? What is the Brexit strategy? Retreats are normally paid in GBP/Sterling.though for some EU clients often Irish they prefer to pay in Euros though it amounts to the same amount paid as we base the prices on the current exchange rate. Regarding Brexit; I've had a personal dialogue with the Maltese Prime Minister and he said that he could not for-see any circumstance where Malta (or the rest of the EU) will try to set financial barriers to anyone paying to travel to any EU country from the UK. Q. £150k seems a lot to spend on website plus recruitment? Q. There are suggestions on Tripadvisor that the Somerset retreat is in need of an upgrade. Do you think that's true, and if so, have you budgeted for it? Q. How do you manage the two retreats, being so far apart from one another? ? A. Hi Maria - We have strong management in both locations. The UK has been established for 8-years and the retreat in Gozo, Malta for 4-years. "Relax, recharge, reboot: kickstart your health"